4. when the system appear feeding and blocked bags, the computer will stopped by itself. 6. it is controlled by inverter. 7. it use heat-sealing & cold-cutting equipment. 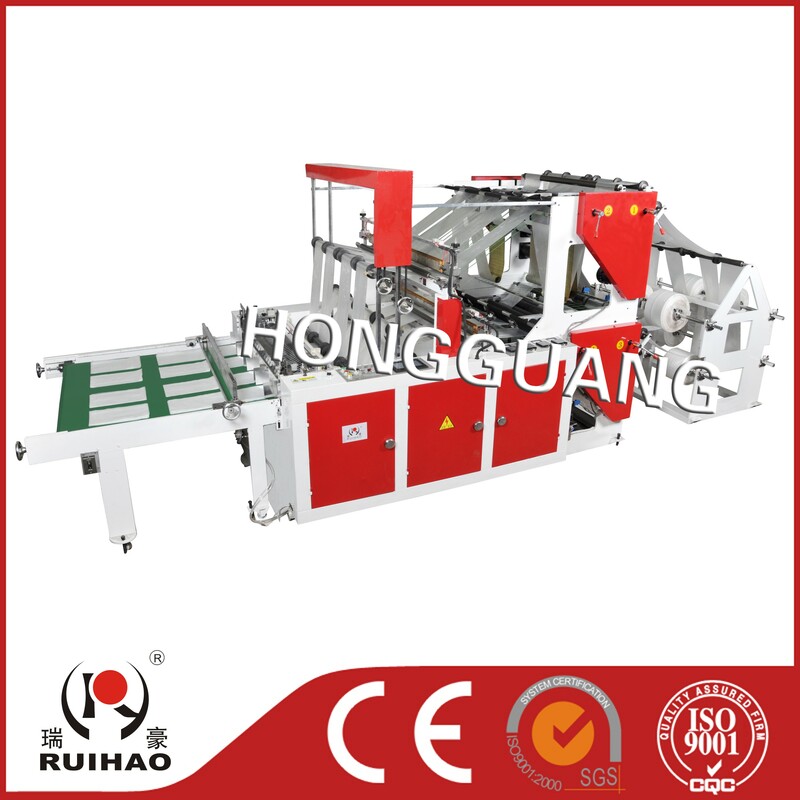 9. it is a ideal machine to produce non-printing bag , flat bag , t-shirt bag , etc.